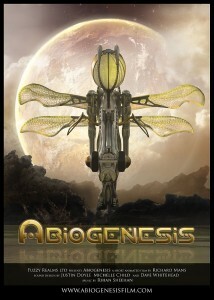 After 4 years of passionate dedication to his vision, New Zealander Richard Mans spectacular short 3D film Abiogenesis (www.abiogenesisfilm.com) is about to make its worldwide premiere onto the international film circuit, starting in London in late September 2011. Liberty3D got an exclusive chance to talk with this artist about his journey and where too next after Abiogenesis. 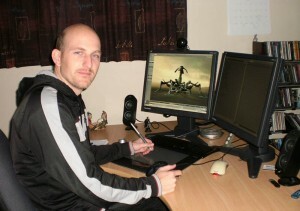 L3D: Hi Richard, and thanks for taking time out to talk to us here at Liberty3D. Can you tell us a little about yourself and how long have you been doing 3D for? RM: I’ve been doing 3D for over a decade now. 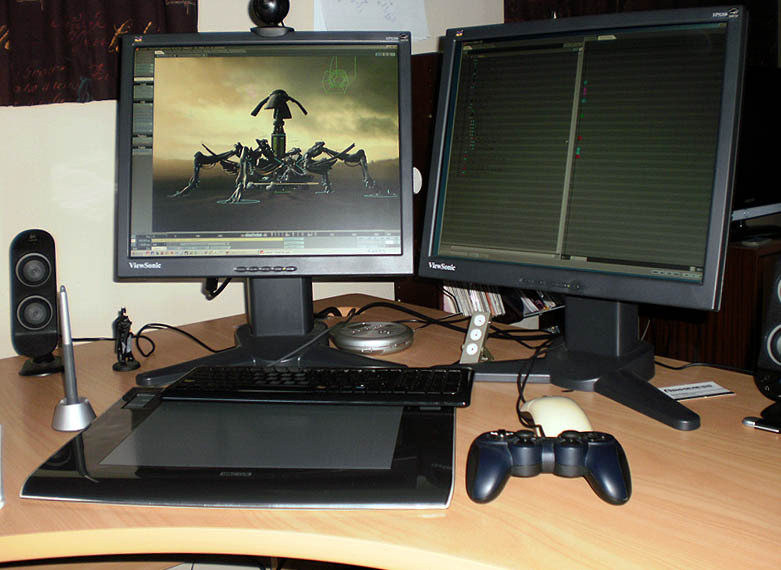 I spent several of these years freelancing in 3D, creating animations for TV adverts, product visualizations, and gaming cinematics.Â Then worked full time on Abiogenesis, my first animated short film. L3D: You definitely have a good artistic eye when it comes to 3D! Did you study anywhere to get started, or are you self-taught? RM: Thanks, yes I’m self taught. However I did complete a bachelor of media arts majoring in painting, and had a strong interest in illustration before I started teaching myself 3d. I think this helped me develop an artistic eye. L3D: I believe that you used to be primarily a Maya user. Do you still use Maya at all for any of your jobs or personal projects? RM: I used Maya for many years but no longer use it. 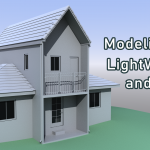 I have changed my primary 3D application a few times over the years starting with 3d Max moving to Maya and now LightWave, and find many of the principles are the same across the different 3D applications. Switching applications has helped keep things fresh, and allowed me to discover what really works for me. 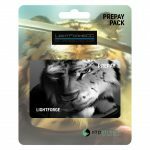 L3D: Why did you decide to invest in LightWave3D? RM: I invested in LightWave when I decided I was going to create a short film. It was cheaper than keeping Maya up to date, and from what I could see LightWave could do all the things I needed my main animation software to do to make my film. Also I found Maya quite challenging at times and wanted to see if another application suited my work flow better. L3D: Did you find any advantages in swapping your software packages for doing your work at all? RM: The first major advantage I found in using LightWave was its stability. It was so much more stable than anything I was used to. Then I started to enjoy LightWave’s work-flow. I found it much easier to use and faster to access any of the options I was after. These factors lifted a huge weight from my shoulders and made it possible for me to see my film all the way through to completion. L3D: Are there any pros or cons you have noticed between software packages over your career so far? RM: Personally I have found I like to work with a variety of applications that each specialize in a specific area. This is one of the reasons I like LightWave, its split between Modeler and Layout is like using two specialist applications with user interfaces that are best suited for the task at hand. Perhaps one drawback to this is that there’s not the same interplay between your modeling an animation tool set. However for a 3D generalist like myself, I found this was a faster and more user friendly way to work. L3D: Now, lets talk about your short film Abiogenesis. This really is a visually gorgeous piece of work! How long did it take you to create this film – it has a great look and quality that it is definitely not what you would expect as the work of just one artist! RM: Thanks, the film took me about 4 years to make, however I’ve been developing the robot on and off since I opened my first 3d app. 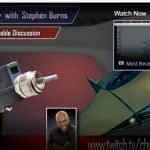 L3D: What was the inspiration behind Abiogenesis? How long did you spend creating the ideas and story behind it? RM: The robot took shape and evolved by just playing round with 3D over the course of my career. However animations of NASA’s Mars Rover missions helped me see a way of developing my robot into a short film narrative. During the year I spent making the animatic (rough 3D animated shot layout of the entire film), the core themes in the basic narrative further inspired the design of the robot, which in turn played of the narrative some more, until it snowballed into the final film. 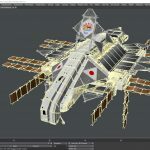 L3D: Did you run into any major challenges or hurdles during production? RM: A major challenge for me was just coping with the daily grind. This film was all I worked on year in and year out, and after spending over a year on the animatic and modeling the assets for the film, I still had to complete over 80 shots. With some shots taking two weeks or more to complete, progress could feel painfully slow at times. However deep down this film was something I wanted to complete no matter how long it took me. 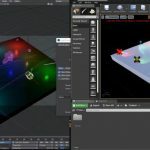 L3D: While we hear that LightWave was the main tool you used in this project, as we know, a lot of commercial production work is often never the result of a single tool. Did you use any other tools to create Abiogenesis? RM: Along with LightWave I used Zbrush, Particle Illusion, GeoControl, Adobe Photoshop, After Effects, and Premiere. An essential LightWave plug-in for making some shots in the film possible was HD Instance. The LightWave plug-in Turbulence Fluid Dynamics was also used for a couple of shots. I used ButterflyNetRender to manage all the rendering. L3D: There’s some pretty spectacular volumetric effects throughout the film – from mist and clouds, through to flames and smoke. Did you use any features of your existing tools, and were there any third party tools involved to produce some of these effects? Did you create them in 3D, or are they elements applied later in your compositing stage? RM: A lot of these effects were generated in Particle Illusion, then projected onto 2D planes within LightWave and surrounded by LightWave’s Hypervoxel’s to give them that volumetric look. 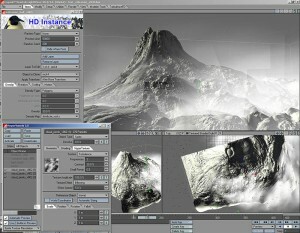 Sometimes extra parallax was created in the clouds by splitting the background over several 2D plains within lightWave. I also applied allot of live action dust, smoke and fire effects in post. For a couple of shots the only way I could achieve the desired volumetric effect was using the LightWave plug-in Turbulence Fluid Dynamics. L3D: Was there a lot of compositing involved in the post-production of Abiogenesis? Did you use a lot of layered passes to get the look you were after, and were there any real challenges you found during post-production? RM: Each shot consisted of quite a number of layers, including several from LightWave as well as live action elements. I also used a lot of adjustment layers for colour grading and adding bloom, glow, and flare effects. I didn’t encounter many real challenges during compositing because most of the work was done in 3D. Compositing ended up being the most rewarding phase for me, because this is were I finally got to see the shot come together. L3D: We’re aware that you’re a great supporter and attend meetings of the LightWave Users Group of New Zealand – “Kiwavers”. 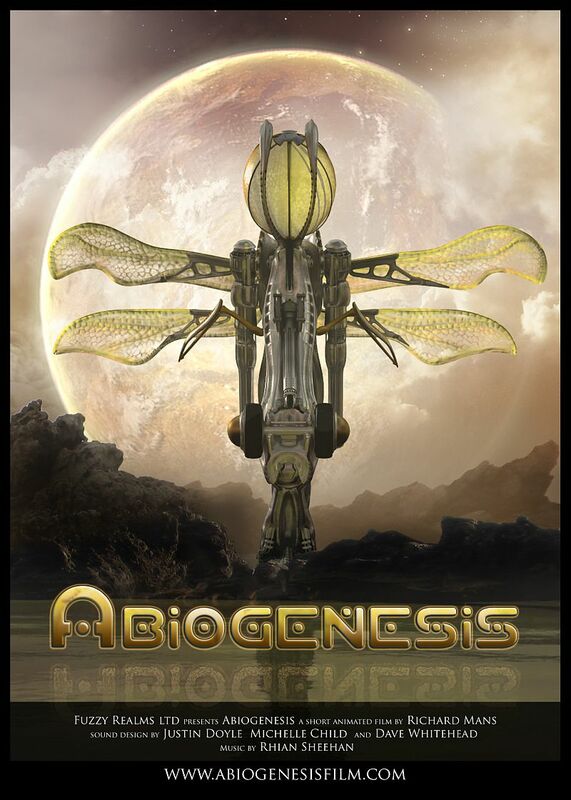 We hear that this group have been lucky enough to watch Abiogenesis evolve over its production! 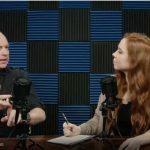 Did you find sharing with a group like this helped your production in anyway, and do you feel that having local support groups like this are valuable for the CG community? RM: I think a local support group like Kiwavers was very important in helping me finish my film. It was just great to be able to share Abiogenesis with a group that genuinely found it interesting at all stages of development. I also enjoyed seeing others giving it a go on their own projects and confronting similar challenges. It really helped lift me up when I was finding the project a bit hard going. 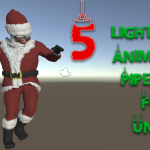 L3D: Finally – can you tell us something about the Audio in your project? The audio really is as spectacular as the visuals, and your credits on the Abiogenesis website indicate that there was a pretty professional team involved in this part of the project. Can you give us an insight on what the sound production process was like to work on? RM: I was most fortunate with the talent that worked on the Audio. Dave Whitehead has an impressive line of credits including sound work on District 9 and the creation of the Alien Vocals, King Kong, Lord of the Rings, Pirates of the Caribbean etc, so when I contacted him about doing the sound design for my film I wasn’t really expecting a reply. But seeing where I was at on the project Dave was really interested and supportive. It was an awesome shot in the arm after years working alone on the animation and now some truly world class talent was coming on board. Dave assigned Justin Doyle and Michelle Child to do a lot of the sound work, and it was such a thrill to watch them breath life into my film with sound. I was also incredibly fortunate with having Rhian Sheehan do the music. It was great fun working with him to discover what we wanted the music to achieve. L3D: Before you go, what are your plans for the future of Abiogenesis? RM: Abiogenensis will have its world premiere at the 19th Raindance film festival in London (Europe’s leading independent film festival), and has also been selected to play at the 56th Valladolid International Film Festival in Spain. I’ll be attending both these festivals, so it will be great to see how an audience respond to the film, get some feedback, and hopefully use the film as a springboard into my next film project.Â I also only just found out that the film has also been accepted into the Siggraph Asia 2011 conference in Hong Kong later this year. L3D: Now that the film is done, what are your plans from here? Do you have any future projects in the pipeline? RM: I have a few other short film ideas I’m going to try and push while I’m on the festival circuit with Abiogenesis. All are in the sci-fi or fantasy genre, but I see them more as live action with a large special effects component, so I am looking to collaborate with people on my next film. L3D: Thanks for taking time to talk to us at Liberty3D! Do you have any final advice that you would give to others wanting to create their own short films? RM: Trust in the creative process. Jump in there and model or animate something, play, and let your idea evolve.